The fourth set of light synonyms is humorous / cheery. We can often bring light into our lives and that of others through humor. Adam Sandler knew it well when he wrote his Chanukah song. A quick Google or YouTube search will turn up a lot of funny and fun videos and songs about this holiday. Science has shown us that laughter really is the best medicine. It lowers blood pressure, raises endorphins, increases blood flow, decreases stress, and can even lower blood sugar (something much needed after eating all those latkes and sufganiot – jelly donuts). So, get out there and laugh a little – it’s good for you! I have really been enjoying all your posts so far. For some reason the site would not let me comment the first three nights. But that hasn’t stopped me from trying. I do not give up easily! So, as for what I learned when I went to one of your suggested websites the other night … Either I had forgotten, or never learned that the celebration of Chanukah had anything to do with Sukkot. 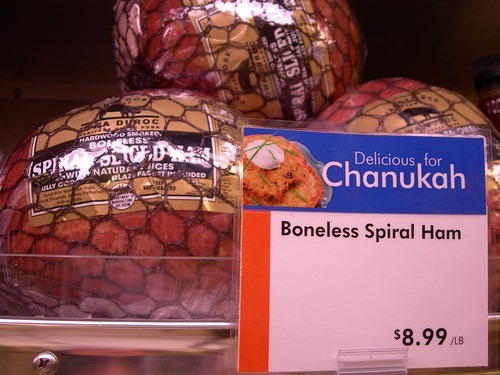 Now I want to know why no one ever tells the true story of Chanukah? The one where the MaCabees killed the Jew for worshipping the Greek god. And that is what started the war. Not that the Greeks didn’t deserve a whooppin’. After all they were insisting all the Jews give up their ideas and take on the Greek Religion. But, there are just as many lessons (good and bad) to be learned from the real story and all the after math, as there is from the traditional one. Maybe we can honor our tradition by telling the traditional one and the true one. This learning a myriad of lessons.